This is a picture of original Toyota Tundra Radio.There are few functions in it.If you want to have more useful functions, you can upgrade it.If your car’s dashboard is familiar to this one, and you want to upgrade the head unit by yourself. I will tell you some simple steps to do it by yourself. The factory Toyota Tundra Radio has been removed. After few minutes rest we can start install a new aftermarket radio. 1) Open the hood and disconnect the negative battery cable. Open the parts boxes and verify all of the parts are included. 2)Pry the climate control module away from the dash with firm pressure applied at the bottom of the panel. Disconnect the wires from the climate controls and set it aside. 3)Locate and remove the four screws holding the stereo in place. Pull the radio out carefully and disconnect the hazard light switch and the wires behind the stereo. 4)Install the hazard light switch into the new cover on models with molded stereo faces. Connect the wiring harness adaptor to the original harness and let it hang from the dash. 5) Secure the radio into the Toyota radio mounting kit and plug the wiring harness and antenna wire into the back of the new head unit. 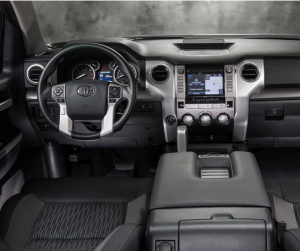 Slide the stereo and mounting kit into the Toyota Tundra dash and secure it in place with the four original screws. 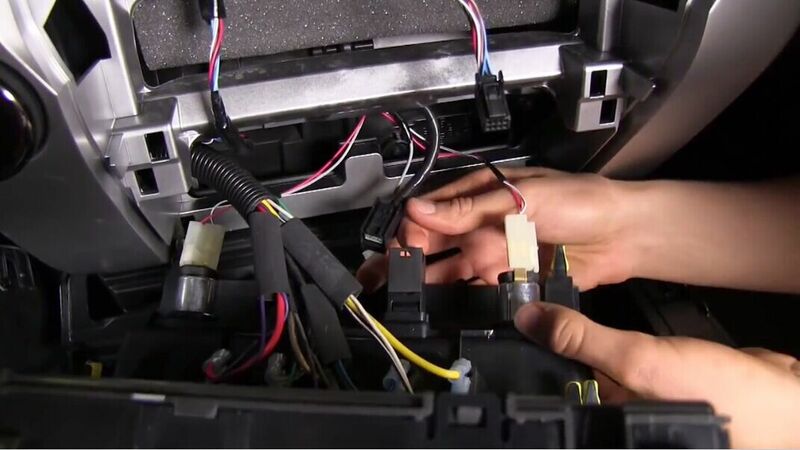 6)Reconnect the negative battery cable and turn on the radio. Verify the speakers and controls are working properly and replace the climate controls and additional trim. With this unit, you can use high speed 3G&WiFi internet. You can download any applications in the android market for access to games, Skype, MSN, YouTube and so on. You can also use 3D navigation maps. So, have great fun with your new Toyota Tundra Radio.